“Yeah, I’m not afraid of anything sliding today,” my husband heard a male voice say while he was fuelling our sleds at the local gas station. Kev shook his head. We had been discussing snowpack conditions and observations from Avalanche.ca earlier that morning. The likelihood of triggering an avalanche was considerable across the board, according to Avalanche Canada, with the size of that avalanche being up to a three, depending upon terrain choices. It was a warm spring day, getting warmer by the minute. That rider my husband overheard is an individual we have tried to reach out to over the past few years, a young man with incredible riding skills, but no avalanche education. We have even gone so far as to offer him a paid AST 1 class, to no avail. If he did get his avalanche training, would that guarantee his survival? Over the last few years, we have been noticing an inspiring trend: an increase in the general population of snowmobilers who are getting the education and are riding prepared with the equipment—especially from the Prairie provinces. This is great! 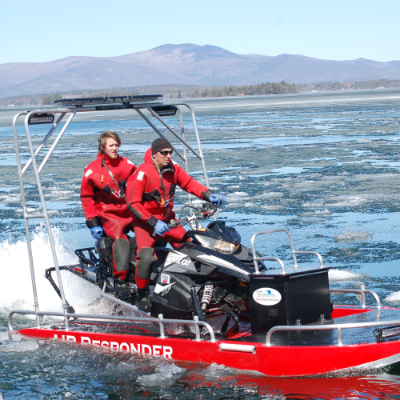 On the flip side, however, we are losing an alarming number of riders who are avalanche-skills trained, sponsored riders and ambassadors for the sport of snowmobiling. Riders who are revered and idolized. What happens between the pre-trip talk discussing snowpack conditions with the group, deciding to tap ’er cool, and hours later one or more of the riders in the group hitting a slope that is showing multiple signs of instability? What happens between preaching safety and caution one day and then riding alone the next, triggering a fatal avalanche? What happens between posting a family picture, stressing how precious life is, to one poorly planned moment that leaves behind a widow and children mourning for that loss of precious life? It is not the snowmobile and it’s not the equipment. Or the education. 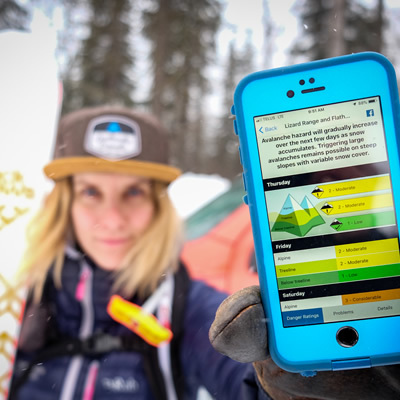 In addition to professionally delivered Avalanche Skills Training, there are many resources and hot topics on everyone’s social media feed daily to urge caution, education and sensibility—especially during volatile avalanche cycles and warming trends. 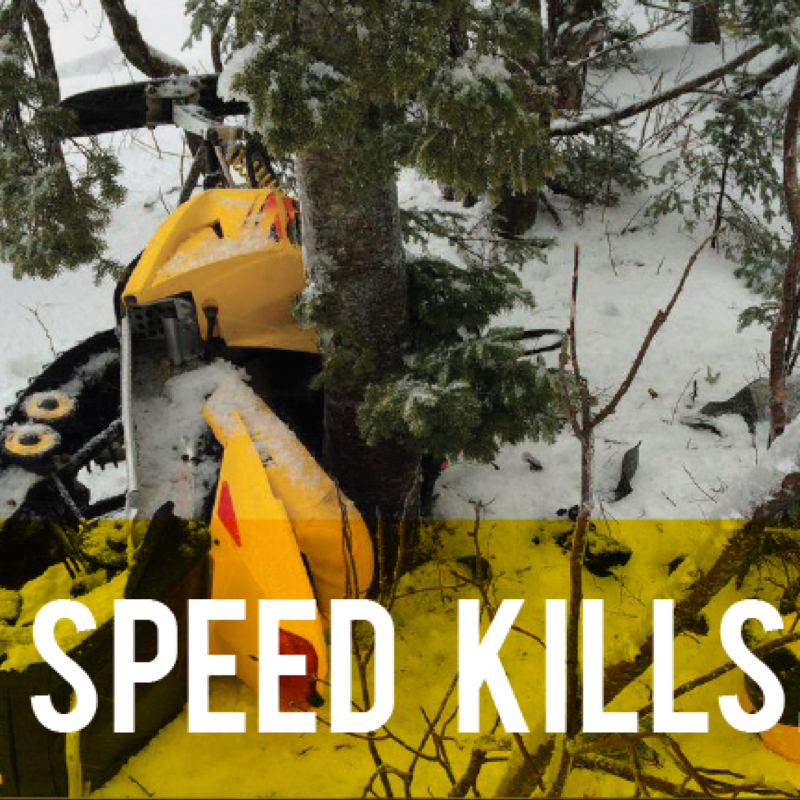 Everyone who is involved with social media, snowmobile forums, mainstream news and snowmobile clubs should have an inkling as to the sheer power of destruction that Mother Nature has the potential to deliver in winter months. It is the human factor, which comes in many forms. We’ve all heard the term “pow stoke.” It's that euphoric feeling that consumes your mind, body and soul, causing you to disregard safety and appropriate decision-making in pursuit of fresh, untouched powder. Perhaps there is another factor that includes gaining a false sense of security. Throughout your day, you see minimal, if any, signs of snowpack instability, causing you and your group to push a little deeper, higher and more technical than you had initially planned—which is OK, if you take the time to analyze the snowpack as you go into different areas. This can be dangerous, however, if that pow stoke takes you deeper and farther without taking the time to analyze the change in snowpack from zone to zone. Filled with euphoria, you zip around the corner and find the perfect cornice to huck. It’s just around the corner—how different can the snow conditions be? You’d be surprised by how quickly the snowpack can change when dealing with mountains, weather patterns, solar exposure, micro climates and more. 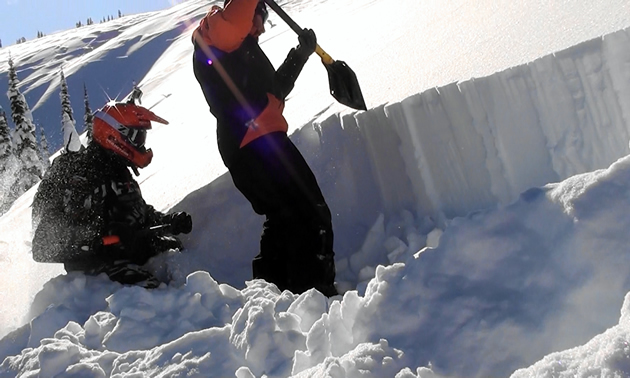 It can be a fatal flaw to underestimate snowpack stability, especially when attempting a move in complex terrain. There are still snowmobilers out there who truly believe that if they go the highest, biggest and hit the gnarliest line on the face of the Earth they’ll be guaranteed some type of sponsorship. Nothing could be farther from the truth, for many manufacturers and gear companies are looking for individuals who represent safety and professionalism. On another note, those who go big, either in film or photo, usually plan far ahead rather than spontaneously hitting the biggest jump or drop they see. Extreme moves take planning, preparation and an understanding of snow science to be executed safely. What are the consequences to this jump or drop? Is the snowpack stable enough to do it now or should we wait until the snowpack firms up? Do I have an out with this jump or will I be cutting it close to a terrain trap or trees? Where is my support crew should things go wrong? Are they in a position to watch for me, and possibly rescue me in the event the hill did slide or I found myself in trouble? Are they trained enough with their gear to find me in under 10 minutes should an avalanche hit? Talk to a real professional in the industry, not someone who creates an athlete’s page and calls themselves a “pro rider.” Ask them what their process is when they go big. We all have “that guy” in our group. Just point him in the right direction and he’ll hit anything, drop anything . . .
How many times have we looked at something, knowing it was well beyond our skill set and level of risk tolerance? So we point the “crazy one” in that direction, telling him to just hit it. Is that fair? Now the pressure is on him. Will he succumb? Usually. The cameras come out in anticipation of awesomeness, further adding to the pressure. Would you bow out if you felt uncomfortable? When you operate as a group, you move forward as a group, respecting all voices, especially the one that says, “No, I am not feeling this.” It may prompt more discussion, perhaps another analysis of the snowpack, a Plan B, or the entire group agreeing that today is not the day we want to tempt Mother Nature’s fury. Either way, you’re in it together—for better, hopefully, not worse. Would you listen to the collective “No” if you were wanting to hit something big? Sometimes, in a new group, especially if the new rider is set on top of a pedestal, pressure exists to bring their A-game and a half. This can be the catalyst that pushes the rider to go beyond their level of risk tolerance and what was mapped out as a safe game plan for the day. No matter the group, no matter the pressure, the only realistic pressure you should feel is the pressure to make wise, life-preserving decisions throughout the day, encouraging your group to do so as well. Your life and ability to live a high quality of life matter more than a money shot. Just ask your family. We are human and we are flawed, that much is true. We all have the potential to make mistakes, so we must look out for each other and make decisions based upon safety rather than the wow factor. If we are losing seasoned riders, we all need to take a step back and re-evaluate our level of risk tolerance and what our lives truly mean to ourselves and our loved ones. We need our seasoned riders alive, setting good examples for our sport, demonstrating restraint and using their voices to urge caution, safety and appropriate backcountry mountain riding planning. Are you a rider who is a role model? Think of those watching you, idolizing every move. What example are you setting for the young up-and-comers? You’re under a microscope. Make it count, for not only are you representing a company—if you are fortunate enough to be sponsored—you are representing the sport of snowmobiling. To those we’ve lost, you’ll forever leave a hole in our hearts. In memory of your adventurous spirits, I’d like to dedicate this article to all our fallen riders so that we may learn from the lives lost and feel the light of inspiration to never take life for granted, or what we assume the snowpack is doing without testing it for stability. Get educated. Get the gear. Practise with the gear. Practise terrain management and open dialogue during your ride. 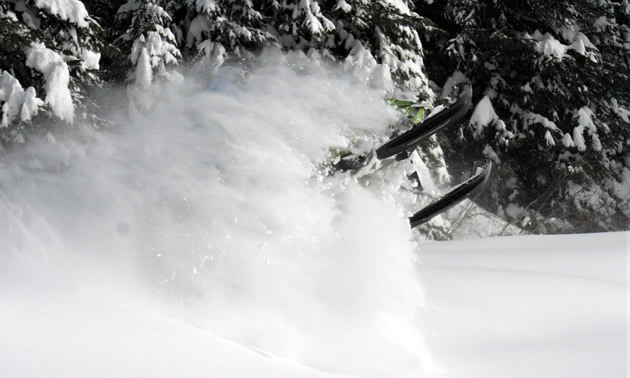 Err on the side of caution and, unlike the gentleman at the gas station who decided all terrain was safe and stable without being near the riding zone, test the snowpack during the day to understand what you’re dealing with. There is a right time to push boundaries, if you wish, and there is a wrong time in which the mountain will always win.